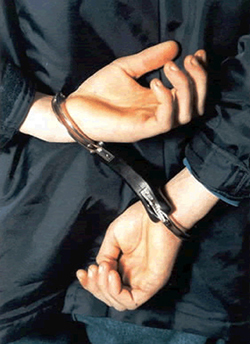 If your loved one has been arrested, then Macon bail bonds can help. No one wants to spend time in jail and extended time away from your responsibilities could result in you losing your job. That’s why getting the process done as fast as possible is incredibly important, and our Macon bail bonds company is here to help. We understand how to navigate the complex justice system in order to provide you with accurate and timely results. For the best service, contact a Macon bail bondsman from Anytime Bail Bonding at (770) 339-9000, or visit us at 771 Buford Drive, Lawrenceville, GA 30043. When you need bail bonds in Macon, Anytime Bail Bonding, Inc. should be your first call. We serve the residents of our community quickly and efficiently and we can help get your loved one out of jail as quickly as possible. You shouldn’t pay your full bond amount if you don’t have to and that’s where a Macon bail bondsman can help. One of our bail bondsmen can walk you through the bail bonds process in Macon and post your loved one’s bail for you. Most clients only pay 10 percent of the full amount rather than all of it. Whenever you require fast bail bonds in Macon, you can rely on the experience and professional service of Anytime Bail Bonding, Inc. You can always ask our knowledgeable bail bondsmen in Macon about anything related to the bail bonds process in Macon. Bail bond laws are very different depending on the state or even the county which is why you need a bail bondsman that is familiar with our particular laws. Our Macon bail bonds company has years of experience navigating the laws that apply to our area and when you choose us you can be sure that we will process bail for your loved one as quickly and efficiently as possible. Also, when you choose us one of our bail bondsmen in Macon can walk you through every step of the bail bonds process and if you have any questions we can answer them. We’ll explain what steps to take next and help you make the best decisions. You will also need to provide the amount of the bail as well as a major credit card. This will allow your bail bondsmen in Macon to immediately get to work processing the bail bond. So if you have a loved one that’s been arrested in Macon, give Anytime Bail Bonding a call at (770) 339-9000 and we’ll get to work on getting them released as soon as possible.